This Jonquil Brothers installment is a little bit heavier than the others as both the main character and his sister in law Sorel are struggling with crippling injuries and side effects. Stanley is shell shocked and beaten down from war, with Marjie as his only breath of fresh air. Sarah’s books are always clean with depth in her characters. Historical fiction and Regency fans this series is for you! In the sprawling gardens of their neighboring estates, childhood friends Miles and Elise spent countless pleasant days together in the spirited adventures of youth. They were inseparable—until Elise vanished without a trace. Miles searched, but Elise could not—or would not—be found . . . After years spent laboring on the family plantation in the West Indies, Miles Linwood is shocked by the unexpected news: he has inherited his distant cousin’s estate and the title of Marquess of Grenton. Miles’s return to England is tarnished by only one thing—he is still haunted by Elise’s mysterious disappearance. So when he glimpses a woman with a startling resemblance to his lost friend, he’s shaken to the core. This is no mere shadow of the past: it is truly Elise. But his dear friend has changed—to the point that he questions whether it is really her, though he knows it is. Accustomed to rescuing Elise from childhood escapades, Miles takes her and those in her care back to his estate, even as he struggles to understand her fear and mistrust. As their friendship and feelings slowly blossom again, the shocking truth of their separated years is revealed, and Miles realizes more than ever that he must protect Elise. She slipped away once, and he cannot lose her again. Regency Romance is one of my favorite genres, and Sarah M. Eden is a great go to Regency author. 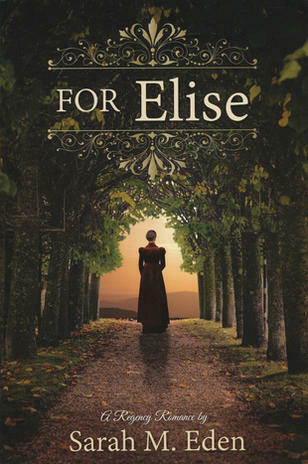 In her latest, For Elise, Miles Linwood, a marquess, is traveling the country when he happens upon his long lost childhood friend. Elise, now called Ella is a very young widow with small child, living a life of poverty. The two were the best of friends growing up until a murder tore their lives and inherited estates apart. Ella is guarded and seems burdened with so many emotions bottled up, that when Miles steps in to offer her a new life, she’s not sure she can open up again and let him in. Eden addresses deafness, prejudice of social classes and trust between friends. There’s plenty of suspense as mysterious handwritten notes start showing up as a threat to Elise. The murderer is lurking nearby Tafford Estate where Miles now lives. I read For Elise in one day, start to finish. With returning characters from her previous novels and a dreamy landscape, once again Ms. Eden had me fully engaged. I recommend all of her books! Sarah M. Eden is the author of multiple historical romances, including Whitney Award finalists Seeking Persephone, Courting Miss Lancaster, and AML’s “2013 Novel of the year” Longing for Home. Combining her obsession with history and affinity for tender love stories, Sarah loves crafting witty characters and heartfelt romances. She holds a Bachelor’s degree in research and happily spends hours perusing the reference shelves of her local library. Sarah has twice served as the Master of Ceremonies for the LDStorymakers Writers Conference and acted as the Writer in Residence at the Northwest Writers Retreat. Sarah is represented by Pam van Hylckama Vlieg at D4EO Literary Agency. 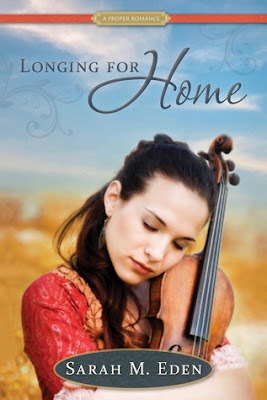 and Emily F who won Longing for Home by Sarah M Eden in our Pretty Darn Funny giveaways sponsored by Deseret Book. 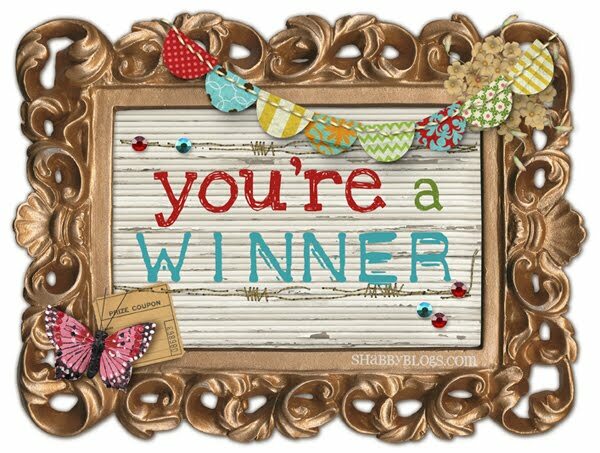 Send us your mailing address and they will get your prizes off to you! Be sure to enter this weeks giveaway for this week’s PDF episode, which is a copy of Say Love by Hilary Weeks. Book Summary From Goodreads: Twenty-six-year-old Katie Macauley has placed all her hope in Hope Springs, a small town in the 1870 Wyoming Territory. But if she wants to return home to Ireland to make amends with her estranged family, she’ll need to convince the influential Joseph Archer to hold true to his word and keep her on his payroll as his housekeeper despite her Irish roots. The town is caught in an ongoing feud between the Irish and the “Reds” the frontiersmen who would rather see all the Irish run out of town and the Irish immigrants who are fighting to make a home for themselves in the New World. When Joseph agrees to keep Katie on as his housekeeper, the feud erupts anew, and Katie becomes the reluctant figurehead for the Irish townsfolk. As the violence escalates throughout the town, Katie must choose between the two men who have been vying for her love though only one might be able to restore hope to her heart. 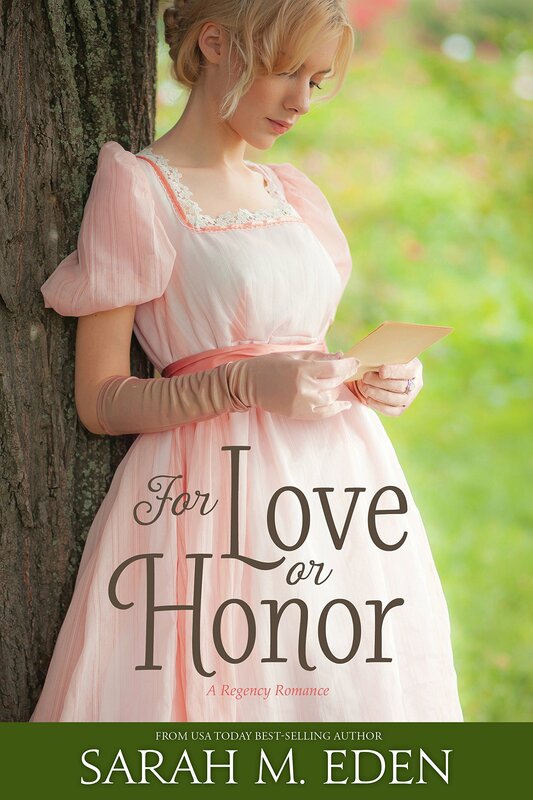 Review: Sarah M. Eden is one of my go to authors for clean, historic romance. So, of course, when I saw stack including Longing for Home at the Shadow Mountain booth at BEA I may have squeed a little. This is my first choice from the books I picked up at Book Expo America. Within days of arriving home from NYC, I had already read and wanted to hug it just as Katie MacAuley hugs her violin on the front cover. Katie MacCauley is exiled from her childhood home after famine and harsh landlords cause her father to lose their land and a tragic death claims the life of her sister. She is far from home in Baltimore when word of opportunity anew reaches the East. But going far away can’t keep the ghosts at bay that keep haunting Katie’s memory. Literally crippled both emotionally and physically she begins to heal form the neglect and guilt harbored deep inside. Ultimately, her dream is to make things right by returning to Ireland, but two men vying for her affection have different plans. Sarah Eden paints a clear picture of Irish life with historic elements of their homeland, Ireland…the soda bread, the music, the neighborhood gatherings or ceili, and the accent. All of these gave me a glance into what life may have been like for the green settlers who were trying to make their way in a “red” frontiersman’s world, as well as the opposition my ancestors likely faced trying to make their way and earn a living here. The separation and prejudice against the Paddys, or “green” Irish side runs strong and heated fueled by” the red road” where Katie finds herself literally living in the middle. Joseph Archer, a widow with two children, is also torn between the town and the Irish. Enter Tavish, the very confident berry vendor , who is determined to tip the scales in his favor and win the heart of Ms. MacCauley. As a descendant of the Irish who immigrated to the United States, I absolutely loved Longing for Home. Sarah’s writing keeps getting better and better. I would highly recommend all of her books. Excerpt: Katie pulled open the back door only to have it pushed closed once more. For a moment she couldn’t account for such an odd thing. Her mind, however, quickly pieced the mystery together. Mr. Archer stood behind her, his arm reaching out past her shoulder, hand flat against the door. She’d been so lost in her thoughts shed’s never even heard him catch up to her. 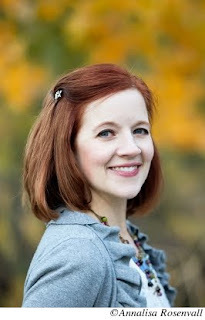 About the author: Sarah M. Eden is the author of multiple historical romances, including Whitney Award finalists Seeking Persephone (2008, Covenant Communications) and Courting Miss Lancaster(2010, Covenant Communications). Combining her obsession with history and affinity for tender love stories, Sarah loves crafting witty characters and heartfelt romances. She holds a Bachelor’s degree in research and happily spends hours perusing the reference shelves of her local library. Sarah has twice served as the Master of Ceremonies for the LDStorymakers Writers Conference, acted as the Writer in Residence at the Northwest Writers Retreat and is one-third of the team at the AppendixPodcast.com. Sarah is represented by Pam van Hylckama Vlieg at Foreword Literary Agency. Okay all, I will readily admit vlogging is not my forte. However, I today to offer Fire and Ice readers a peek at my top 15 YA, MG and Adult titles from Book Expo America 2013. There is a giveaway of BEA books and swag at the end of today’s video as well as yesterday’s Part I posted on out sister site Little Red Reads. Open to US only, giveaways end June 21, 2013.